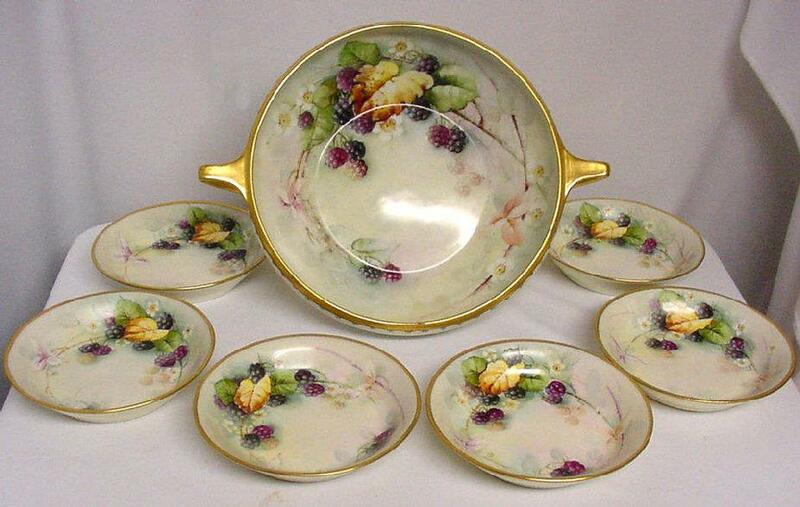 Northwood Berry Set, Circa 1905. 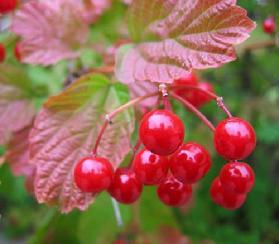 Set is complete with Master Berry and six individual berries. 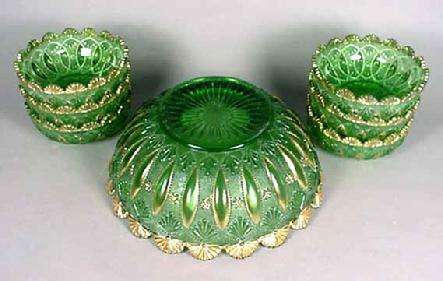 Emerald Green with Gold. 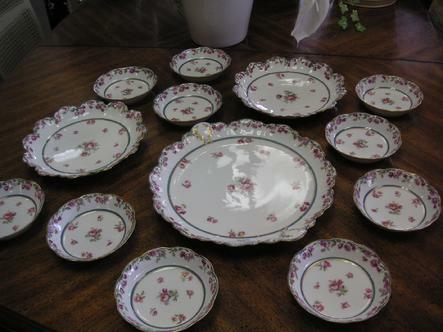 Pattern is called Posies and Pods. 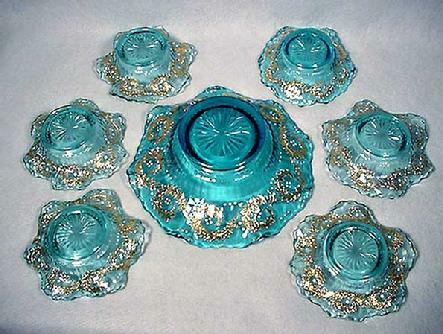 Victorian Ice Cream or Berry Set. 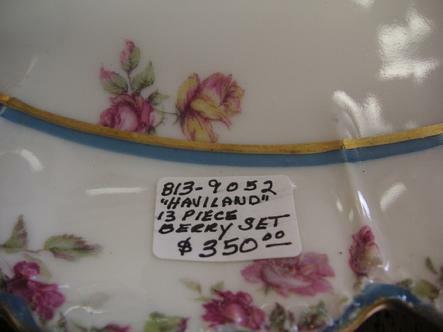 The pattern is Ivy Scroll. Circa 1900. 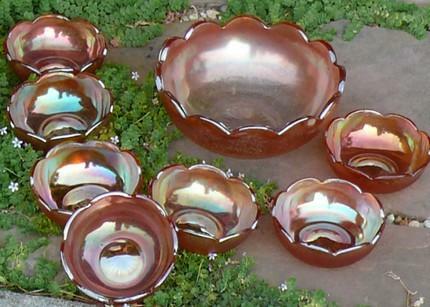 This Set consists of a Master Berry and complete set of 6 individual berry bowls. 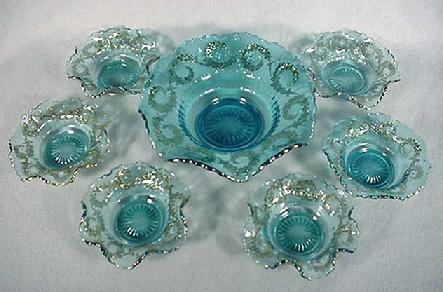 It is a beautiful Electric Blue and was made by Jefferson Glass Co.
Blue opalescent Master Berry Bowl. 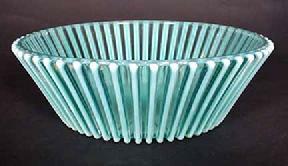 Pattern is Beatty Rib. 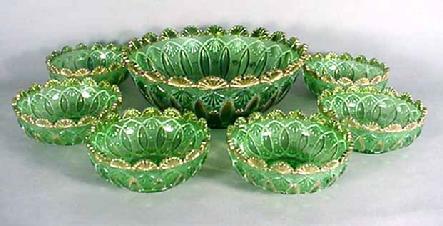 Made by Beatty and Sons in Tiffin, Ohio. Circa 1889. 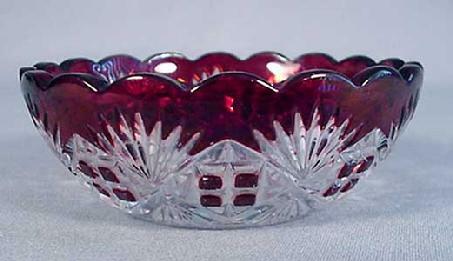 Victorian Chocolate Master Berry Bowl. 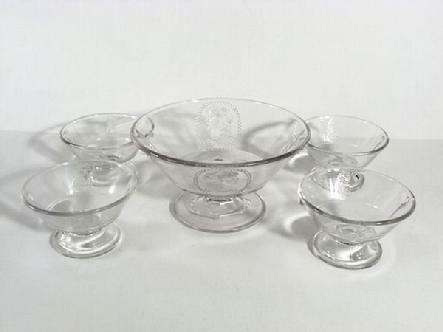 Made by Indiana Tumbler and Goblet Co. Greentown, Ind. 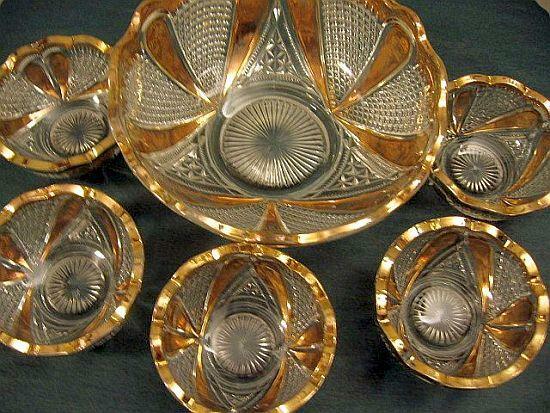 The pattern is Leaf Bracket. 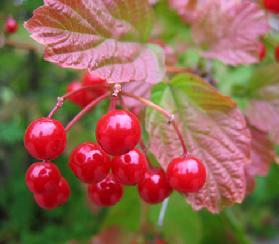 Individual Berry Bowl or sauce dish. 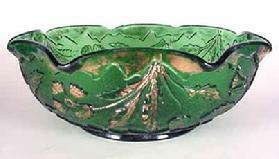 Rotec pattern by McKee, circa 1900. 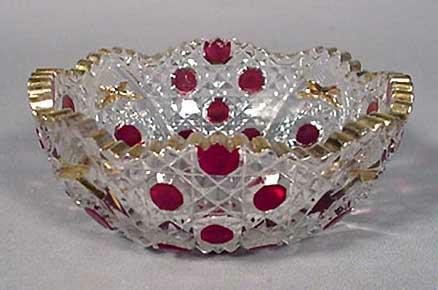 Victorian Individual Ruby Stained Sauce Dish in the Majestic pattern. 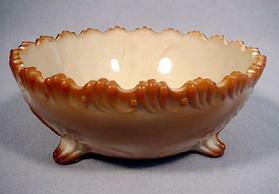 Made by McKee Bros. Circa 1893.